Free cash flow for the quarter was A$147 million, mainly reflecting higher investments in mobile customer acquisition and retention. The 5 per cent EBITDA growth drove figures to A$685 million, while the new A$2.43 billion operating revenue figure was due to strong equipment sales, and sustained growth across Optus’ mobile and fixed businesses. Throughout the Quarter ending December 31, Optus mobile service revenue rose 1 per cent to A$1.24 billion. Outgoing mobile service revenue rose 2 per cent, while incoming service revenue declined 5 per cent due to lower inbound roaming revenues. 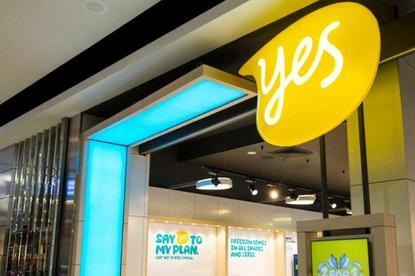 Optus also added 12,000 new mobile customers during the quarter, bringing the total number to 9.37 million. Prepaid handsets saw net additions of 61,000 subscribers this quarter. The deactivation of a wholesale customer (TPG) led to the loss of 26,000 postpaid handset customers, but this loss was tempered by the overall growth of 12,000 unique mobile handset customers. The availability of 4G networks has boosted the telco, with the number of 4G subscribers increased to 4.45 million, a 40 per cent year-on-year increase. 4G Plus customers also continue to ruse, now accounting for 47 per cent of Optus’ total mobile customer base. According to Optus CEO Allen Lew, in the coming quarter Optus plans to extend the reach of its 4G Plus network, as it increases deployment across its 700 MHz and 2600 MHz spectrum holdings. Optus’ 4G Plus network has been available at 4,451 regional and metropolitan sites, reaching 92 per cent of Australians as of 31 January 2016. “Following its recent acquisition of regional 1800 MHz spectrum, Optus now has more spectrum assets to expand its network and improve its 4G coverage for more Australians,” Lew said.